The body of Father Carlos Riudavets Montes was found Friday morning with his hands tied and several stab wounds lying in the kitchen of the Valentín Salegui school he ran in Yamakai-entsa district in the Amazonian jungle province of Bagua. The priest’s body was discovered by the school’s cook, Gumercinda Diure, the director of education of the Amazonia region told RPP radio. Diure said it did not appear to be burglary because nothing was stolen. 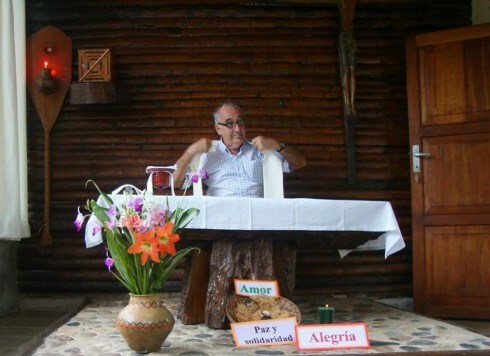 The Jesuit province of Peru has confirmed the death of Fr. Riudavets. "We express dismay and sorrow at the death of Father Carlos Riudavets, the Jesuit province of Peru said in a statement. Fr. Victor Hugo Miranda, the spokesperson for the Peruvian Jesuit province told Vatican News that the Jesuits of Peru have expressed their concern and worry at what has happened and are awaiting information from authorities regarding the murder of Fr. Riudavets. Listen to Fr. Victor Hugo Miranda While rejecting all forms of violence, Fr. Miranda said, the Jesuits of Peru are proud of the work in the mission of Fr. Riudavets. Fr. Riudavets, 73, whose school provides education to the children of the Yamakai-Entsa indigenous group, served in the north central part of the Peruvian Amazon for 38 years. A native of Sanlúcar de Guadiana (Huelva), in Spain, Fr. Riudavets came to Peru as a young scholastic in the pre-priesthood preparation stage. He studied theology in Lima and had experience in teaching in Piura in the north. After his priestly ordination, he was sent in 1980 to the Jesuit mission in the Vicariate San Francisco Javier del Alto Maranon, an area that includes part of Jaén (in the region of Cajamarca) that is the land of the Awajun-Wampis people. Fr. Miranda said Fr. Riudavets worked for almost 40 years among the indigenous people as a teacher and then principal and was very close to the people. Diure said Fr. Riudavets had been threatened by a student who was expelled from the school. Police said they are investigating the killing. The Peruvian bishops conference has urged the authorities to clarify facts and arrest those responsible. The Pan-Amazon Ecclesial Network (REPAM) noted that Fr. Riudavest was much loved by the people of the area, especially by the Awajún-Wampis. Fr. Riudavest leaves behind a legacy of commitment, responsibility and love for the indigenous people, REPAM said.